2017 Ford F-250 Super Duty XLT For Sale In Vernon, Kelowna, Okanagan, BC. Be prepared for any task when you drive the 2017 Ford Super Duty XLT. This pickup seats up to six with your choice of a Regular Cab, Super Cab or Crew Cab. Choose the 6-3/4’ or 8’ box for the two- or four-door truck of your dreams that is able to carry all your stuff. 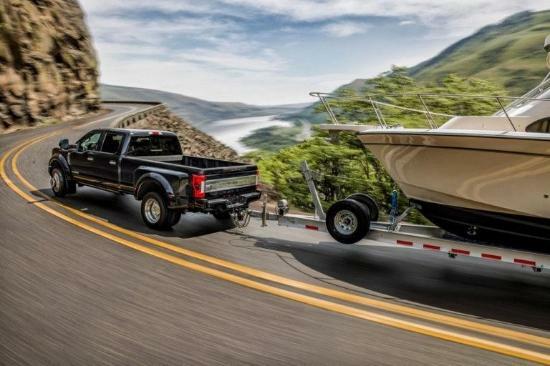 You’ll appreciate the practical aspect of the 2017 Ford F-250 Super Duty XLT with tie-down hooks and tow hooks. This pickup also features trailer tow heated mirrors and quad-dual beam halogen headlamps. Chrome steel bumpers and the chrome bar-style grille create an aggressive image while a black lower air dam and door handles provide contrast. This model also comes with a power locking tailgate and Tailgate Assist for added convenience. 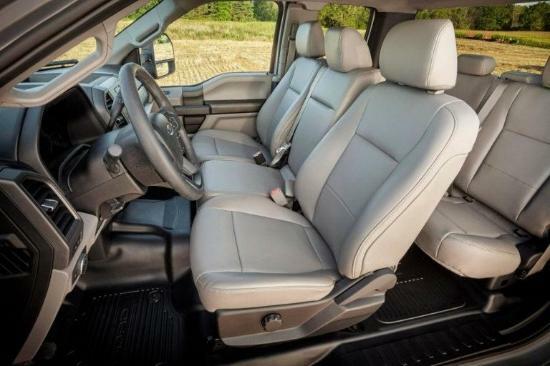 Relax in the air-conditioned cabin of the 2017 Ford F-250 Super Duty XLT which also comes with cruise control and a tilt-telescopic steering wheel. Ample storage options exist in this truck with a second glove box and under-seat storage in the Crew Cab, which is lockable. Sit back in the driver seat with its lumbar support. Stay informed with SYNC or upgrade to the SYNC 3 with navigation in the 2017 Ford F-250 Super Duty XLT. Through these systems, you are able to connect to your compatible devices for hands-free calling and more. This truck also comes with a six-speaker audio system with CD player and MP3 capability. Expand your options with SiriusXM satellite radio which is standard. Enhance the look or the versatility of the 2017 Ford F-250 Super Duty XLT with genuine Ford accessories. Add running boards for convenient access to the cab or include fog lamps which brighten the path ahead. Utilize LED box lighting for those times when you have to work after night. 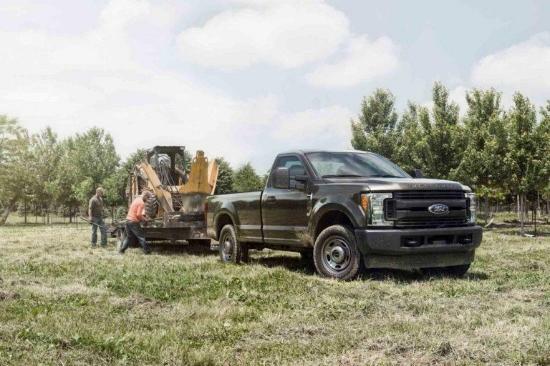 When you choose Ford accessories, you know they are meant to work with your truck. Choose either diesel or gasoline for the engine you want with your 2017 Ford F-250 Super Duty XLT. Both are paired with the 6-speed SelectShift automatic transmission for precise handling even when you have a heavy load. Features like trailer sway control keep you safely on the road while the integrated trailer brake offers extra convenience and safety. Built Ford Tough, the 2017 F-250 Super Duty XLT has what buyers want to see in a hard-working pickup. Thanks to modern safety features, you can travel with confidence behind the wheel of the 2017 F-250 Super Duty XLT. Every 2017 F-250 Super Duty XLT is backed by Ford’s superior warranty. When you’re looking for a no-nonsense truck to get the job done, nothing beats the 2017 Ford F-250 Super Duty XLT. However, this pickup also includes a few extras to make the ride home more enjoyable and to keep your passengers content. The clean design and modern look of the truck ensure it’s just as at home driving downtown as out on a remote job site. Come out to your local Okanagan Ford Dealer – Watkin Motors Ford to see our wide range of pickup trucks for sale. Stop in and test drive the 2017 Ford F-250 Super Duty XLT or another model. Whether you are looking for brand new or gently used, Watkin Motors Ford has the right pickup truck for your needs.